Washington, D.C., Oct. 4 – RespectAbility, a nonprofit organization fighting stigmas and advancing opportunities for people with disabilities, has asked gubernatorial candidates on all sides of the aisle to fill out a questionnaire on disability issues. 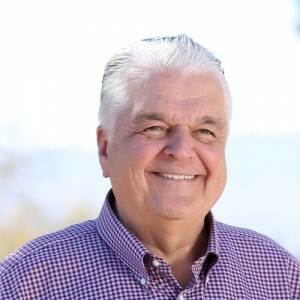 Steve Sisolak, a Democratic candidate and current Clark County Commission Chair seeking the governorship in Nevada, is the first to respond in full to the 2018 #PwDsVote Disability Campaign Questionnaire for Senate and Gubernatorial Candidates for people with disabilities. This is important for Nevada’s 382,600 citizens with disabilities. Only 42.6percent of the 193,100 working-age people with disabilities in Nevada are employed. Further, there are more than 32,200 youth with disabilities and each year a quarter of them will age out of school into an uncertain future. RespectAbility is seeking answers from the campaign of Republican Adam Laxalt, current Nevada Attorney General, who also is seeking the governorship in Nevada. We are presenting Sisolak’s answers in full below.